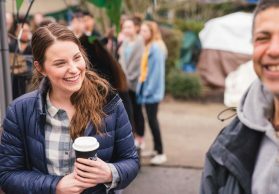 In mid-November, Seattle Pacific began hosting Tent City 3, a self-managed homeless community, for a three-month stay on the north side of campus, near the bookstore. TC3 is a portable encampment for up to 100 men, women, and children experiencing homelessness. It is co-sponsored by SHARE/WHEEL. SPU hosted TC3 in 2012 and 2015, and has welcomed the community back until February 10. 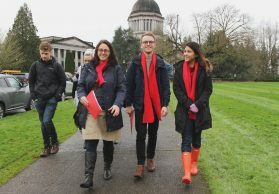 In 2015, President Dan Martin launched SPU’s Committee on Homelessness with the goal of keeping the issue of homelessness in front of the University and the greater community through learning activities, symposiums, and ongoing TC3 involvement. Interested in participating? 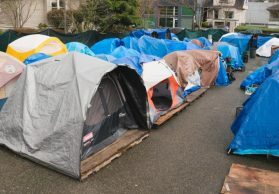 Email tentcity3@spu.edu to assist or visit spu.edu/homelessness.